FROM May to September rain, gale force winds and squalls are characteristic of weather experienced by WA residents from Geraldton to Esperance. Severe storms accompanied by lightning, hail and flash flooding can cause damage to homes and properties if homeowners and residents are unprepared. Residents can minimise this damage by taking a few simple steps to prepare for winter storms and stay Storm Safe. If you're home when a storm passes through, be sure to stay inside away from windows. If caught outside, seek shelter in a vehicle or building but don't shelter under trees. If driving during a storm, pull over and park until the storm passes. Remember to stay clear of trees, powerlines, storm water drains and streams. After the storm has passed, motorists should not drive into water of unknown depth and current. What if my home or property is storm damaged? First, assess the storm damage to your home and property. Then determine which agency can assist you (see below) and call for assistance. In a life-threatening situation, dial 000. State Emergency Service volunteers can assist people with other emergency situations, such as undertaking temporary building repairs to prevent further storm damage. 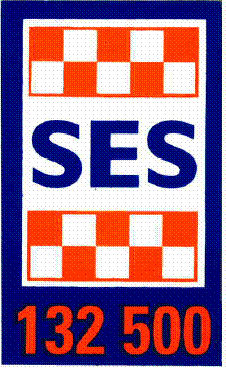 For SES emergency assistance, dial 132 500. Contact your insurance company or a licensed tradesperson to make appropriate arrangements. Western Power can be contacted on 13 13 51 to report damage to powerlines or if the power is out. Alinta Gas can be reached on 13 13 52 for problems associated with gas supply.